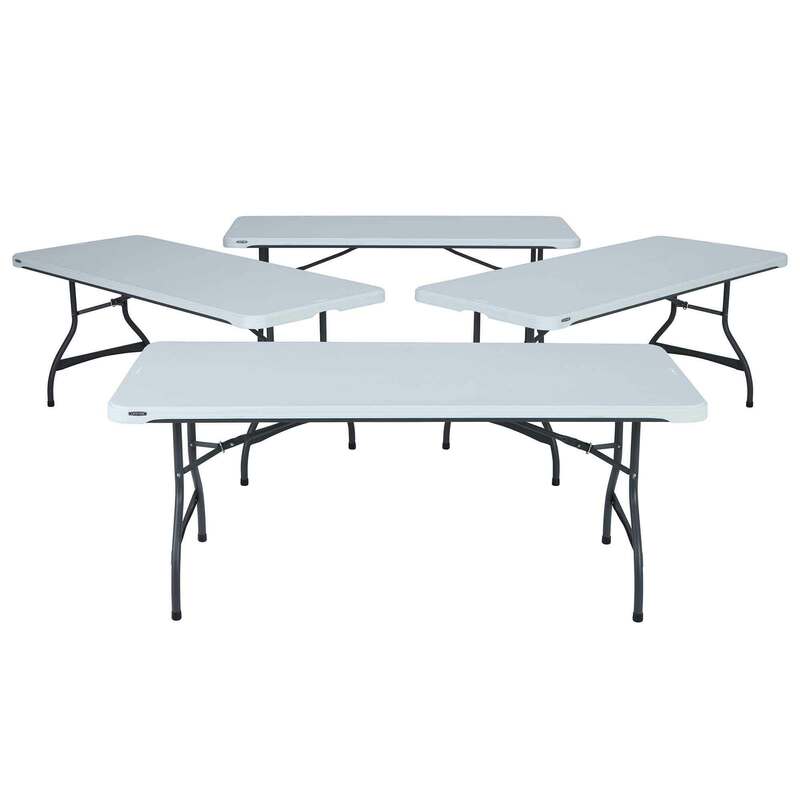 Features a 72" x 30" molded tabletop (white granite) with a round folding frame (gray). This table is made with High Strength Low Alloy (HSLA) steel, and has a nesting design that allows tables to stack together. 10-year limited warranty. 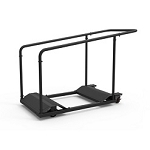 Perfect for use in classrooms, churches, home, and party rental companies. 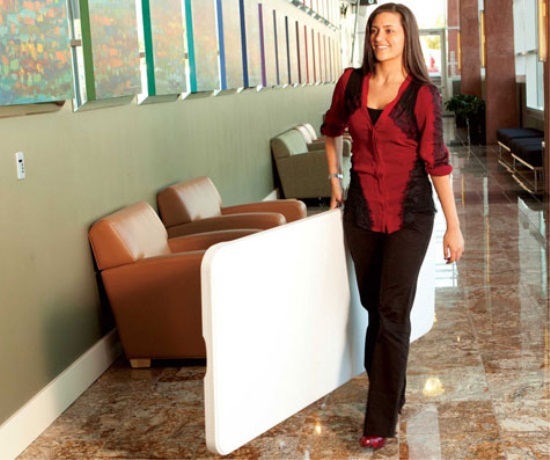 The nesting feature makes both storage and transportation easier than the regular commercial lifetime tables. A: Most items usually leave here the next business day. Shipping to your location can take about a week to ten days to arrive. 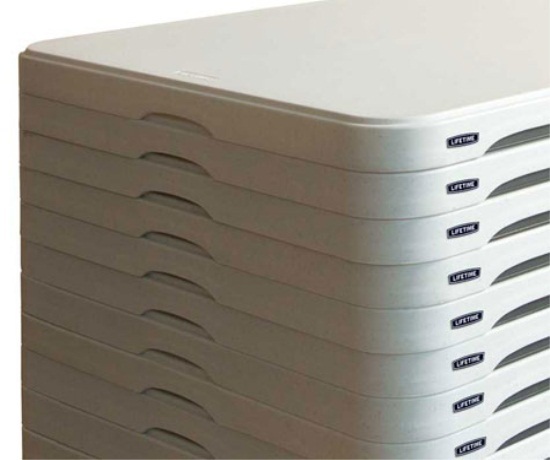 Often it arrives sooner, but we cannot guarantee any specific delivery dates. Tracking will be automatically emailed to you as soon as it ships out. Feel free to contact us with any questions. 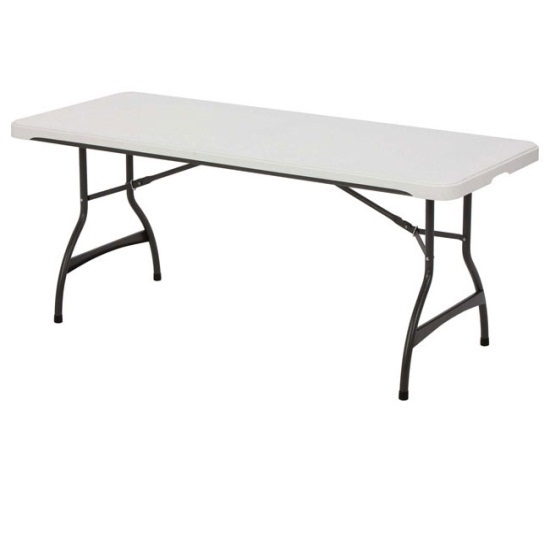 Q: What color is this table? I would prefer putty. If not putty, my 2nd choice is almond. A: These tables are White Granite, if you want putty, then we have the 80126, or in almond we have the 42900. Q: Do these fold in half? A: no, these have a solid top, but the legs fold up flat. 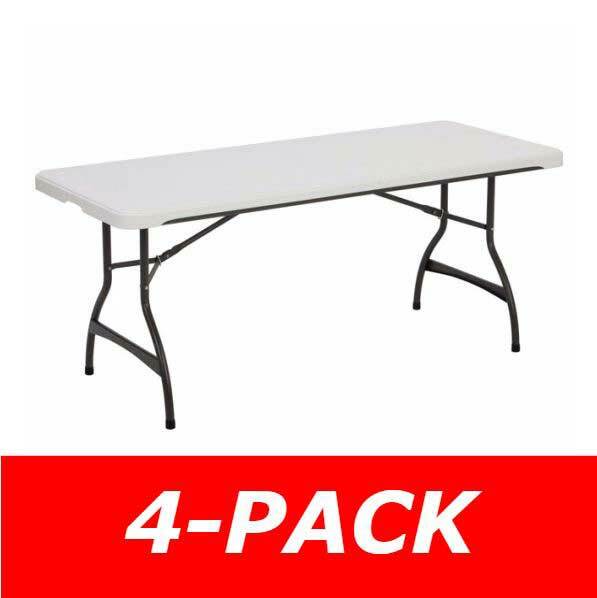 Fast Shipping: Orders for the 480272 Lifetime Six-Foot Nesting Table White Granite generally leave the warehouse the next business day. Dimensions: 76" x 33" x 3"